It was a case of close but no cigar for France at the European Championship in 2016. Didier Deschamps took Les Bleus all the way to the final on home soil but fell short to Portugal in front of an expectant Stade de France. A lot has changed since that defeat; France are now well placed to go one better at the FIFA World Cup this summer. France’s “Golden Generation” are genuine contenders ahead of the 2018 event in Russia and plenty of punters will be backing Les Bleus in their pursuit of glory. The 1998 World Cup winners will be quietly confident of adding a second Jules Rimet Trophy to their glittering array of accolades – it would be foolish to back against them on current form. Defensively, Deschamps has a bit of a selection headache. France are blessed with a number of elite defensive options but it may be a case of ‘too many cooks’. Getting his selection spot on is an absolute must; French supporters will be expecting big things from their side in the coming months. Victory in Russia has to be the number one objective. Antoine Griezmann has been in fantastic form for Atletico Madrid this season – he could be France’s main man in Russia. He has scored nine goals in his previous eight games and Les Bleus will be expecting more of the same for the national side this summer. Griezmann has the quality to lead France to glory if he performs at his brilliant best. The Atletico striker is up there in the betting to finish as the 2018 World Cup Golden Boot winner and plenty of punters will be backing Griezmann this summer. His record for France is solid, with 19 goals in 51 appearances for the national side – Griezmann is Deschamps’ top option in attack and he could be the best Golden Boot selection. If Griezmann performs well, France are in with a real chance of winning the tournament. 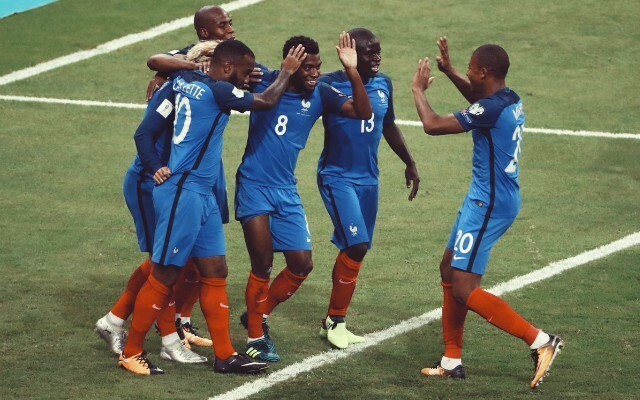 At the time of writing, Les Bleus are 5/1 to lift the Jules Rimet Trophy and bettors may want to look at the latest World Cup 2018 betting offers ahead of the competition. It is tough to split the biggest nations in the business but France are arguably one of the strongest on paper. The likes of Brazil, Spain and Germany will be there or thereabouts as well. Winning the FIFA World Cup is no easy feat and France will need plenty of luck to go all the way to the final. If everything goes to plan, Didier Deschamps’ side could be celebrating on July 15th and there will be lots of punters keeping a close eye on their progress throughout the competition. France have the quality to push their international rivals close this summer; some fans are even making Deschamps’ men favourites for the crown. The likes of Antoine Griezmann, Paul Pogba and Hugo Lloris have come of age in recent years and these three men can inspire France’s “Golden Generation” to World Cup glory. Write Les Bleus off at your peril.